Greek style yogurt has a long history and has been dubbed the ‘food of the Gods’. It is easy to see why with a fat content much higher than regular yogurt, Greek style yogurt has a much creamier taste and thicker consistency. Greek style yogurt has became very popular across Europe and the US, and now yogurt manufacturers in many markets produce their own versions of Greek style yogurt. 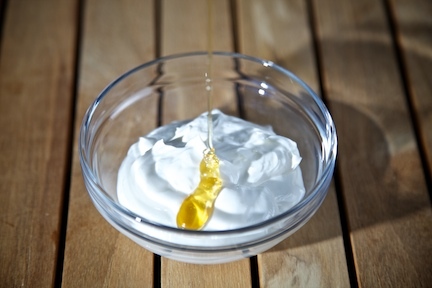 Natural Greek style yogurt is used a lot in cooking as an alternative to cream, or as a base for savoury dips. Honey and fruited versions are also popular as single-pot retail products. KaTech’s technical team has extensive experience in Greek style yogurt new product development. We work with a wide range of functional milk proteins to deliver products with the characteristics and qualities our customers are looking for. Whether you want a traditional 10% fat product, high protein, or a low or no fat alternative, we can help. The traditional way of producing strained yogurt using cloth bags is relatively slow and expensive. The simplest way for modern yogurt manufacturers to produce Greek style yogurt, is by product formulation using their standard yogurt line. Our extensive expertise in functional milk proteins means we offer tailor-made systems to fortify your yogurt base milk for the whole range of greek style yogurts. Traditional Greek style yogurt is 10% fat and around 20-25% total solids. By processing the yogurt base, fortified with additional cream and milk solids, we can help yogurt manufacturers make Greek style yogurt without the requirement to invest in new equipment, and without having to utilise a seperate whey by-product stream. Talk to us today about how we can assist with your new product development. A number of factors can influence the quality of Greek style yogurt. Our technical team can advise on these, helping you to produce the best product possible. We are confident we can help you create a product which will meet the requirements of your retail customers and satisfy consumer tastes. There are a number of ways we can help you produce a better quality Greek style yogurt for less. Our technical team can advise you on the best way to optimise your recipe and production costs by choosing the right ingredients and processes. In the production of natural Greek style yogurt the emphasis is on the use of functional milk proteins to partially replace expensive SMP or other milk solids. It’s an approach which reduces product costs whilst at the same time enhancing your finished product characteristics. For fruited Greek style yogurts much higher cost savings can be achieved by the use of our ‘clean label’ systems, to partially replace milk solids. Contact us today to see how we can help reduce your costs and maximise return.